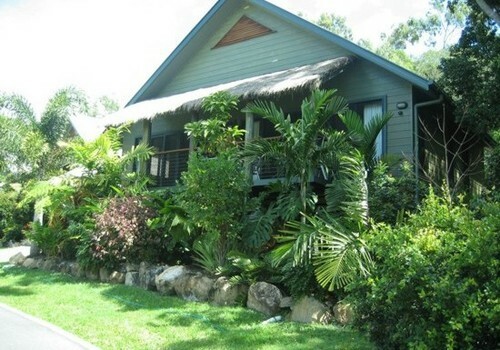 BIG4 Airlie Cove Resort and Caravan Park is a tranquil 28 acre tropical haven, offering a range of tourist park accommodation in a natural environment. 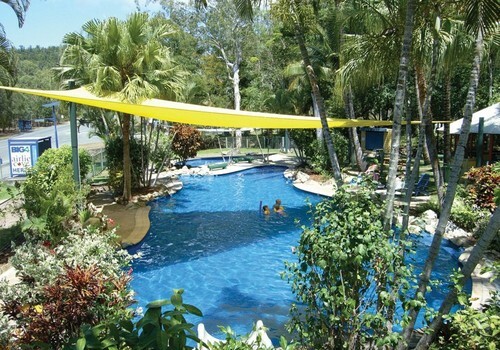 The park is conveniently located 2km through Airlie Beach and is the closest BIG4 to Airlie Beach. It’s setting along Lucas Creek next to the Conway National Park is home to an array of Australian wildlife. 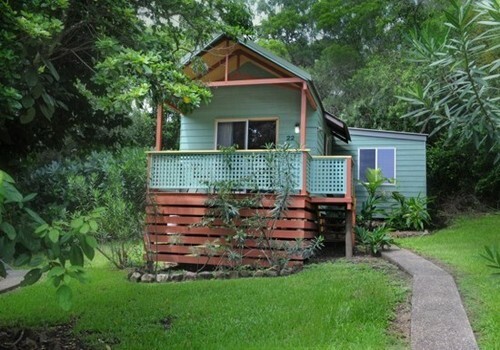 Both comfortable and affordable, Airlie Cove has a range of cabin, caravan and camping accommodation including deluxe Bali Villas, one and two bedroom cabins, ensuite cabins, ensuite and drive thru sites, powered or unpowered sites and campground. 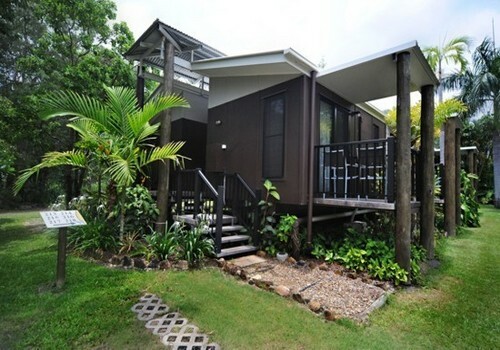 Airlie Cove’s camp kitchens and BBQ gazebo are fully under cover. The park is home to a large freeform swimming pool, jumping pillow and kids playground complex, tennis court, children’s playground, mini market, laundry, amenities block, TV room and internet facilities; and we are eagerly awaiting the opening of our new water park. The tour booking office assists with organising local tours to the magnificent Whitsunday Islands and Great Barrier Reef. Drive 2.5 kilometres through Airlie Beach on the way to Shute Harbour. 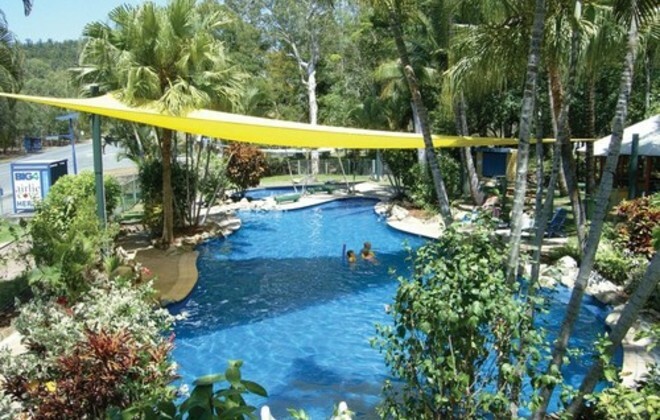 Airlie Cove Resort and Caravan Park is on the right hand side of the road, opposite Qld Parks and Wildlife Service and is close to Airlie Beach and tour departure points. Jumping pillow and Pirate Playground complex, swimmimg pool, tennis courts, BBQ gazebo, camp kitchens, mini mart, tour booking office. 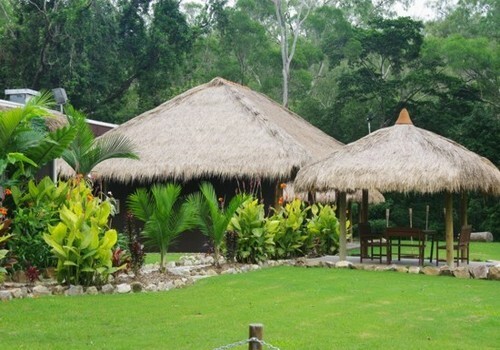 By clicking "Submit" you certify that this review is based on your own experience and is your genuine opinion of "Airlie Cove Resort Van Park" and that you have no personal or business relationship with "Airlie Cove Resort Van Park" and have not been offered any incentive or payment originating from "Airlie Cove Resort Van Park" to write this review.